A handy reference glossary containing all the landscaping terms you need to know when growing organically. Acidic Soil: Soil with a pH value higher than 7.0 (pH>7) is considered alkali and can be neutralized (pH of 7 being neutral) by addition of an acid (pH<7). Soil with a pH of higher than 10 (pH>10) is considered very alkaline. Alkalinity is caused by an increase in sodium compounds or sodium carbonates, which often occur as soil minerals break down. Alkaline soil has a low water infiltration capacity which means water tends to pool or stagnate on the surface. Alkaline soils can be neutralized or acidified by the addition of organic materials such as peat moss and compost or inorganic soil amendments such as sulfur which lower the soil pH. Gypsum is often used to “condition” alkaline soil because it improves the soil structure and water infiltration capacity while replacing the sodium in the soil compounds with calcium as it breaks down. Aeration: Lawn aerating is a bit like taking core samples from your yard, over and over, and dropping the cores right back on the grass. The numerous holes increase air circulation to the roots and improve the soil’s ability to retain water. It also helps control thatch, simply by breaking it up on a regular basis. Read our page Healthy Turf — Aerate the Lawn! here. Alkaline Soil: Soil with a pH between 7.0 and 14. To lower soil pH add sulfur. Annual: A plant that completes its full life-cycle within one growing season. Beneficial Insects: Insects that eat or lay their eggs in other insects thereby controlling them. Used in this country since the late 1880′s they are the best known form of biological control. Want to learn more about beneficial insects? Visit our Beneficial Insects 101 page here. Bio-Solids: Bio-solids are the sludge by-product of wastewater treatment. Bio-solids are created when wastewater and sewage are treated to reduce pathogens and to break organic matter down into their more stable elemental forms. Bio-solids are often used as soil conditioners and fertilizers for agricultural crops. Pollutants are a concern with bio-solids. They often contain heavy metals that cannot be filtered out during treatment and may be saturated with the harmful chemicals used to treat sludge and “cure” it of pathogens. Biodegradable: Biodegradable is a term used to describe materials that are able to break down or decompose into their smaller elemental compounds through interaction with the digestive enzymes and metabolic processes of living organisms. All organic material is biodegradable, even some artificial materials, so long as their chemical make up is similar enough to plants or animals that the microbes responsible for decomposition can effectively break them down into their constituent particles. Biological Pest Control: Using living organisms such as beneficial insects or parasites to destroy garden pests. 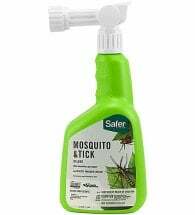 Botanical Insecticides: Derived from plants, these organic pesticides provide a powerful “knock down” to a large number of pests. They leave no residues and breakdown quickly in the environment. Chlorophyll: The green pigment in leaves. When a plant is healthy it is very prominent. Chlorosis: A yellowing or blanching of the leaves due to lack of chlorophyll, nutrient deficiencies or disease. Compost: The end product of the decomposition of organic matter and biodegradable materials by aerobic and anaerobic microbes is known generally as compost. Compost is nutrient rich since during the decomposition process the larger organic compounds are broken down into their basic elemental particles that are easier for plants and other organisms to absorb. Compost serves as a great growing medium for agricultural and horticultural purposes as well as a soil conditioner. This dark brown to black soil/mulch can be easily made in the kitchen or back yard in a compost container or the more traditional pile form. Our comprehensive composting guide makes it easy to start producing nature’s perfect soil amendment. Dig in! Cultivate: To promote, improve or begin plant growth by labor and attention. Cultural Control: The practice of modifying a growing environment to reduce the prevalence of pests. Examples include changing irrigation methods or selecting resistant plants. Fertilizer: An organic or synthetic material added to the soil or the plant, that is important for its nutrient value. Foliar Fertilizing: A technique of feeding plants by applying liquid fertilizer directly to plant leaves. Fungicides: Compounds used to prevent the spread of fungi in lawns/gardens, which can cause serious damage to plants. Germinate: The process of a seedling sprouting from a seed. Grasscycling: Leaving grass clippings on the lawn when mowing to return nutrients back to the soil. 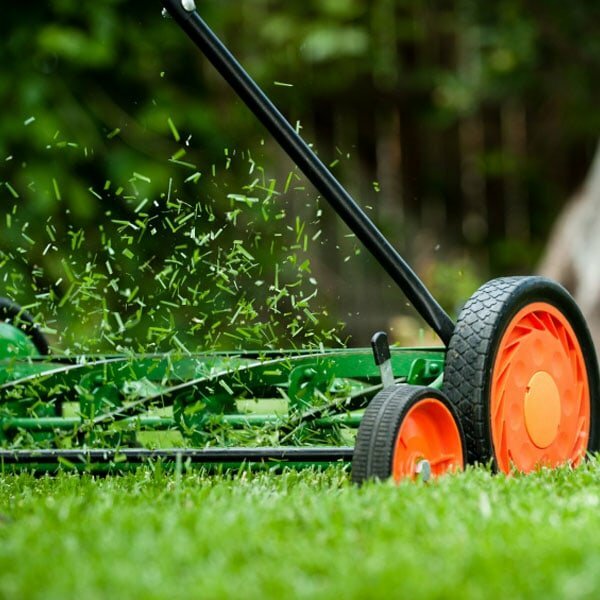 Visit our page on grasscycling for tips on recycling grass clippings back into your lawn. Grub: The larval form of many beetle species. Heavy Soil: Dense soils made of silt and clay that are often very fertile but require soil amendments to improved structure as well as oxygen and water penetration. Humus: Decayed organic matter usually seen as dark brown or black soil. Humus refers to organic material that has reached a point of stability in which it can decay no further. Fully-finished compost is humus. It is rich in nutrients and makes for a very fertile growing medium. Humus comes in different varieties depending upon the decomposed material that makes it. These varieties are very commonly used as soil amendments. Topsoil is an example of humus found nearly everywhere. Integrated Pest Management (IPM): An effective and environmentally sensitive approach to pest management that relies on a combination of common-sense practices. IPM programs use current, comprehensive information on the life cycles of pests and their interaction with the environment. This information, in combination with available pest control methods, is used to manage pest damage by the most economical means, and with the least possible hazard to people, property, and the environment. Loam: An ideal soil for gardening and agriculture made of a combination of sand, silt and clay in roughly equal proportions. Loam is high in nutrients and humus and is able to retain more water than other soils while still allowing it to flow freely. Loam may come in different varieties usually described by the different proportions of constituent particles such as sandy loam, clay loam, silty loam, or sandy clay loam, etc. Gardeners often create loam from their existing soil with the use of soil amendments and compost. Macronutrients: The major elements essential for plant growth. The major plant macronutrients are nitrogen (N), phosphorous (P), and potassium (K). Micro-nutrients: Elemental nutrients needed by organisms in relatively small proportions. In plants and animals, micronutrients are needed for healthy growth and bodily functions. Micronutrients needed by plants include iron, zinc, molybdenum, copper, cobalt, manganese, sulfur, chlorine and others. Chlorine for instance is important for a plant’s ability to perform photosynthesis. Many plant ailments are due to a lack of certain vital micronutrients. One of the functions of fertilizers, compost and other soil amendments is to increase the amount and variety of micronutrients in soil to improve overall plant health. N-P-K: Stands for Nitrogen, Phosphorus, and Potassium (aka potash) the macronutrients necessary for plants to survive and grow. Usually listed on fertilizers and soil amendments with a number, for example 7-9-5, representing the percentage by weight of each nutrient contained in the product. Nitrogen is the macronutrient necessary for vegetative growth above ground. Nitrogen, the most important macronutrient, promotes healthy stem and leaf growth and provides for rich dark green foliage. Phosphorus is the second most important macronutrient and is vital to root growth, fruit and flower development, and disease prevention. Potassium is important for strong, healthy plants. It contributes to disease resistance and protects plants from cold as well as water loss during periods of heat and drought. Organic: A term used to describe certain agricultural and food production methods which do not use toxic fertilizers and pesticides, genetic engineering, synthetic hormone stimulation, antibiotics and other practices such as irradiation and the spreading of treated sewage. Farmers, food producers and processors must meet nationally regulated standards in order to be considered organic. Products such as fertilizers, soil amendments and pesticides must also meet federal guidelines if they are to be labeled organic and given the “USDA Organic” seal. There is some confusion with the term organic as an opposite of commercial. The proper antithesis to organic is chemical or synthetic since for instance both organic and chemical fertilizers are sold commercially. 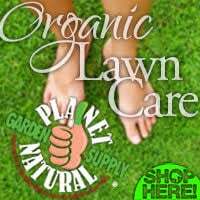 Organic Lawn Care: Maintaining a healthy, attractive lawn without the use of chemical herbicides, pesticides, or fertilizers. Perennial: A plant that grows and flowers for many years. Some are evergreens; others may die back to the ground but will grow back again the following season. Pest: Any unwanted or harmful organism that is dangerous, damaging or irritating. In gardening, pests are usually animals, insects and microbes which feed or otherwise act as parasites on the crops being grown; for example, codling moths on apples or aphids on house plants and flowers. There are many pesticides on the market, both organic and chemical, which can eliminate or control pests. Beneficial insects and microbes are used as natural pest controls. pH: The measure of the acidity or alkalinity of a substance or solution. Technically pH measures the activity of dissolved hydrogen within a substance. pH is a relative measurement with “pure” water being neutral at pH 7.0. A pH lower than 7.0 is considered acidic and a pH higher than 7.0 is considered alkaline or basic. Adding an alkaline to an acidic substance will raise its pH making it more neutral or alkaline. An acid added to an alkaline substance will lower the pH and make the substance more neutral or acidic. Photosynthesis: The process in plants by which carbohydrates are produced from carbon dioxide and water using light as an energy source. Rhizome: A horizontal, fleshy underground stem or runner. Creeping grasses spread by rhizomes or stolons. Soil Amendment: Any material added to soil to improve or change its characteristics. Soil amendments are utilized when physical properties such as structure, aeration, nutrient and water retention, and drainage need improvement. The main function of soil amendments is to provide a better environment for the roots so they can grow and absorb nutrients more easily. Compost is a common soil amendment as it improves soil structure and nutrients. Click here for our page on Soil Amendments for Organic Gardening. Soil Test: Measuring soil for pH and N-P-K ratios, often done in labs or with home soil test kits. Soil tests are important in determining what plants work best in a specific native soil and for understanding any nutrient and pH deficiency soils may have. Gardeners often test soil regularly to optimize a soil’s properties depending on the plants being grown. When deficiencies or nutrient needs are determined gardeners adjust the soils physical properties by adding various soil amendments. Thatch: A layer of dead turfgrass that builds up on the soil surface, reducing water and nutrient penetration. Tilth: The physical properties and fitness of a soil for a specific plant or crop. Generally tilth means tilled earth, but to gardeners, it is the overall health or needs of a soil when growing certain plants. A soil with good tilth is easily worked, has a good pH and structure, and allows for maximum aeration, nutrient and water retention as well as easy root penetration. Soils deemed as having poor tilth can be improved with elemental soil amendments, compost, and fertilizers. Weed: Any plant that is unwanted or considered to be a nuisance. To many people weeds are simply an eyesore while to others they are problematic because they bloc sunlight and rob other plants of nutrients. Xeriscaping: Creating a low maintenance landscape with native plants and reduced areas of turfgrass. A primary goal of xeriscaping is reducing landscape water consumption. Visit our xeriscaping pages for all kinds of tips and design ideas.